This page contains some common questions and answers. Version 1.7.x will be used for this example. NOTE: this example applies to Docker images as well! On our downloads page you will see a 1.7 directory, as well as directories for 1.7.0, 1.7.1, 1.7.2, 1.7.3, 1.7.4, 1.7.5, and 1.7.6. The 1.7 and 1.7.0 directories are not the same. The 1.7 directory is built on each merged commit to the release/v1.7 branch. The 1.7.0 directory, however, is a build that was created when the v1.7.0 tag was created. This means that 1.x downloads will change as commits are merged to their respective branch (think of it as a separate “master” branch for each release). On the other hand, 1.x.x downloads should never change. There are a few places that could make this show incorrectly. Gitea’s custom templates must be added to the correct location or Gitea will not find and use them. Once you have figured out the correct custom path, you can refer to the customizing Gitea page to add your template to the correct location. In Gitea, an “active” user refers to a user that has activated their account via email. 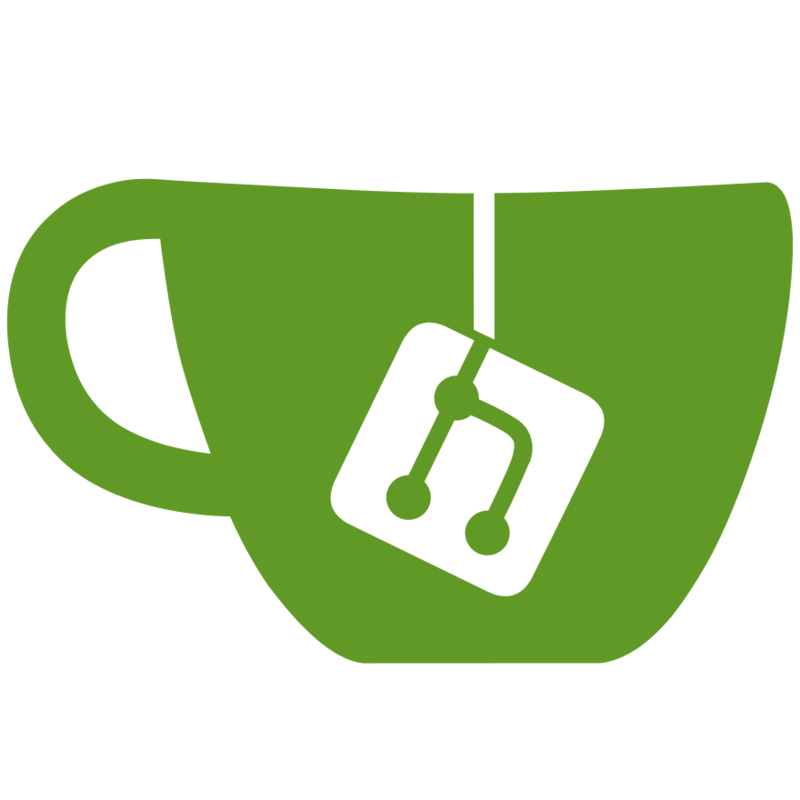 Swagger is what Gitea uses for its API. There are multiple things you can combine to prevent spammers. The current way to achieve this is to create/modify a user with a max repo creation limit of 0. SSHD is the built-in SSH server on most Unix systems. Gitea also provides its own SSH server, for usage when SSHD is not available. The most common culprit for this is loading federated avatars. Make sure that Gitea has sufficient permissions to write to its home directory and data directory. Which makes all other paths non-writeable to Gitea. Whether you want to change a translation or add a new one, it will need to be there as all translations are overwritten in our CI via the Crowdin integration. If Gitea is not running hooks, a common cause is incorrect setup of SSH keys. See SSH Issues for more information. You can also try logging into the administration panel and running the Resynchronize pre-receive, update and post-receive hooks of all repositories. option. If you cannot reach repositories over ssh, but https works fine, consider looking into the following. First, make sure you can access Gitea via SSH. If you do not get the above message but still connect, it means your SSH key is not being managed by Gitea. This means hooks won’t run, among other potential problems. If you cannot connect at all, your SSH key may not be configured correctly locally. This is specific to SSH and not Gitea, so will not be covered here. Ensure the public and private ssh keys are added to the correct Gitea user. Make sure there are no issues in the remote url. In particular, ensure the name of the git user (before the @) is spelled correctly. Ensure public and private ssh keys are correct on client machine. Make sure the repository exists and is correctly named. Check the permissions of the .ssh directory in the system user’s home directory. Verify that the correct public keys are added to .ssh/authorized_keys. Try to run Rewrite '.ssh/authorized_keys' file (for Gitea SSH keys) on the Gitea admin panel. The following is an example of a missing public SSH key where authentication succeeded, but some other setting is preventing SSH from reaching the correct repository. usermod or chsh can be used to modify this. Ensure that the gitea serv command in .ssh/authorized_keys uses the correct configuration file. Check the value of LFS_HTTP_AUTH_EXPIRY in your app.ini file. By default, your LFS token will expire after 20 minutes. If you have a slow connection or a large file (or both), it may not finish uploading within the time limit. You may want to set this value to 60m or 120m.